Did you know that 2018 marks Mickey Mouse's 90th anniversary? To celebrate this major milestone, Disney has worked alongside Melbourne Central, Eddie Zammit and Radio Velvet to put on an exhibition in Melbourne this summer that will honour the cartoon mouse’s legacy. 90 artists. 90 original works of art. Celebrating 90 years of Mickey Mouse. Oh gosh! I'm still pinching myself about being one of the 90 artists that make up the Mickey Mouse Arthouse. I am truly grateful for this opportunity. 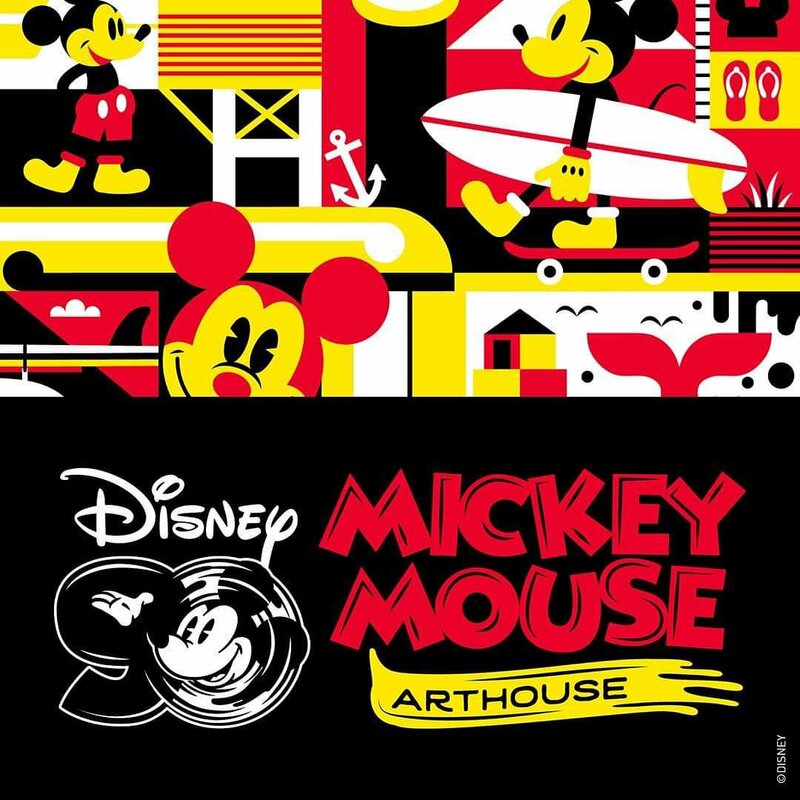 The Mickey Mouse Arthouse is curated by Eddie Zammit and produced by Radio Velvet, and has taken over the floors, walls and staircases behind the Shot Tower at Melbourne Central. The exhibition features works by 90 incredible local and international creatives, including the likes of Jamie Browne, Confetti Studio, Vince Frost, Justine McAllister, Travis Price, George Rose, Phibs and plenty more. 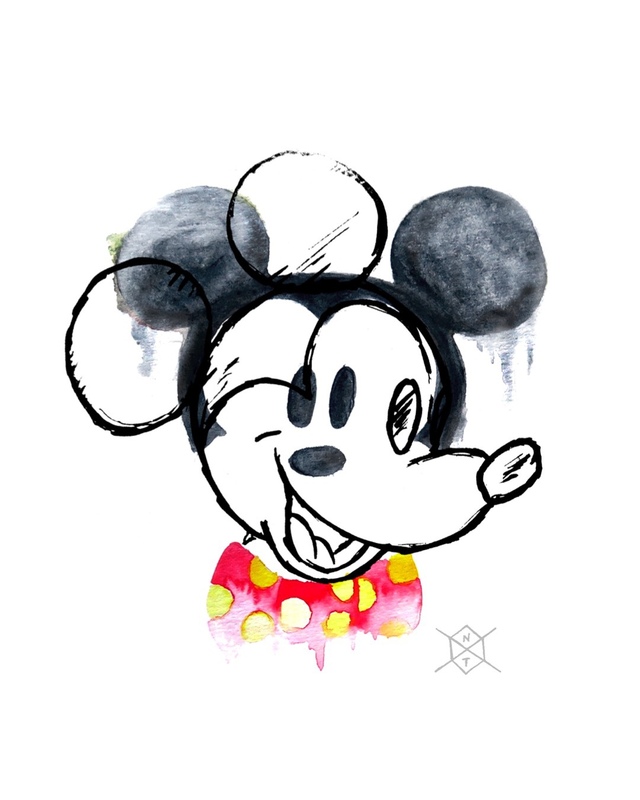 Each artist has reimagined Mickey to create a completely original artwork. 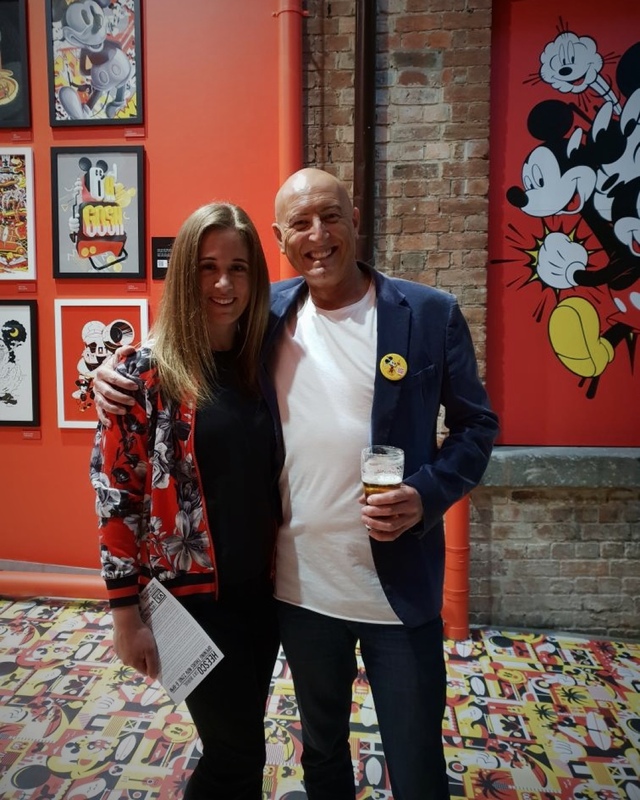 The inspiration behind my piece for the exhibition is that over the past 90 years Mickey Mouse has developed and changed whilst remaining a close resemblance to the Mickey Mouse we first met in Steamboat Willie. Even through the addition of gloves and shoes, a tweak here and a tweak there, at the core of Mickey Mouse is the original concepts put together in the 1930's. Although the ink wells have run dry, the colourful and playful Mickey Mouse of 2018 wouldn't be who he is without his 90 years of history. For those that want to take a piece home with them there is also a range of Mickey-inspired merch that you can purchase at the Arthouse. The merch shop is open from 11am - 6pm daily.